After our trip to the country yesterday, it was was off to the big city today! 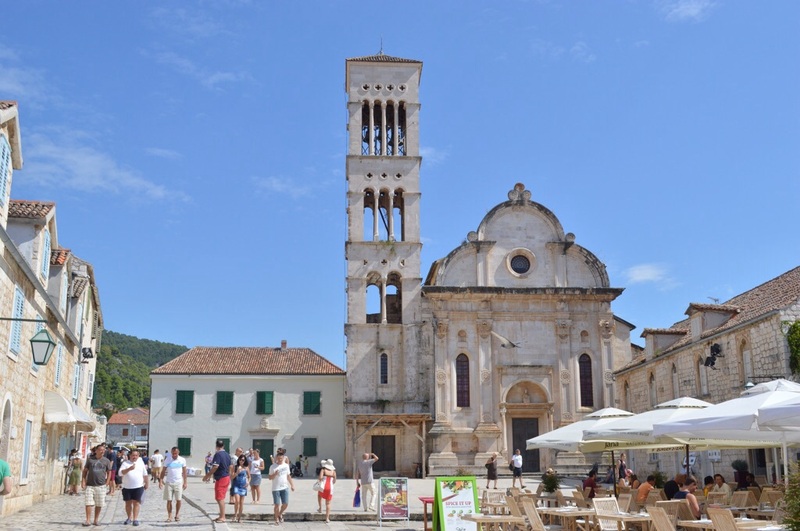 Hvar may be quite small compared to, say, Split but it sure feels like a bustling metropolis after our other locations. The day starts off overcast, but soon brightens up into sunshine. Our base is Mizarola, in the main pjaca. Trouble is, with all the umbrellas up, you can’t actually see much of the surrounding buildings. 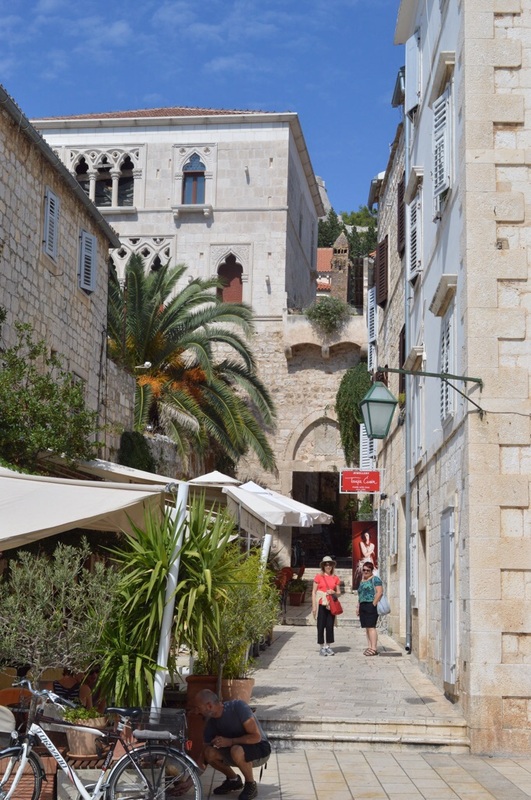 So we all set off to take photos and visit some of the artsy shops and galleries. In search of interesting shops! 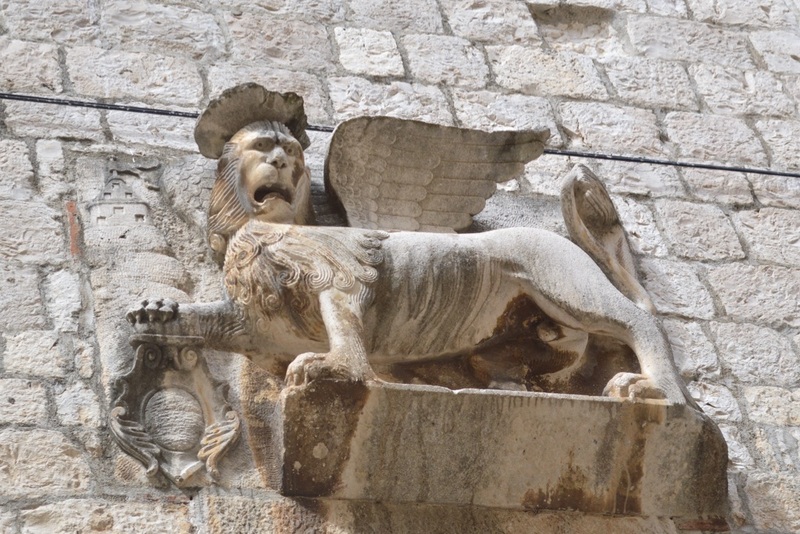 Hvar has lots of interesting things to see, including little details on the walls such as this winged Venetian lion, with a rather pained expression! There was some debate as to what the hat signified, as that’s quite unusual. After lunch and a happy few hours exploring the town, we headed up to Španjola, the Spanish fortress to take in the views. 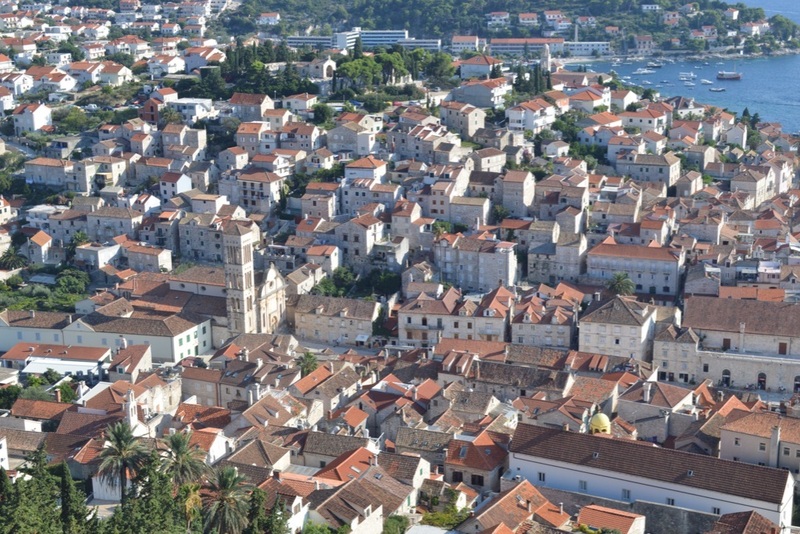 This is, of course, everyone’s favourite view of Hvar, always spectacular! 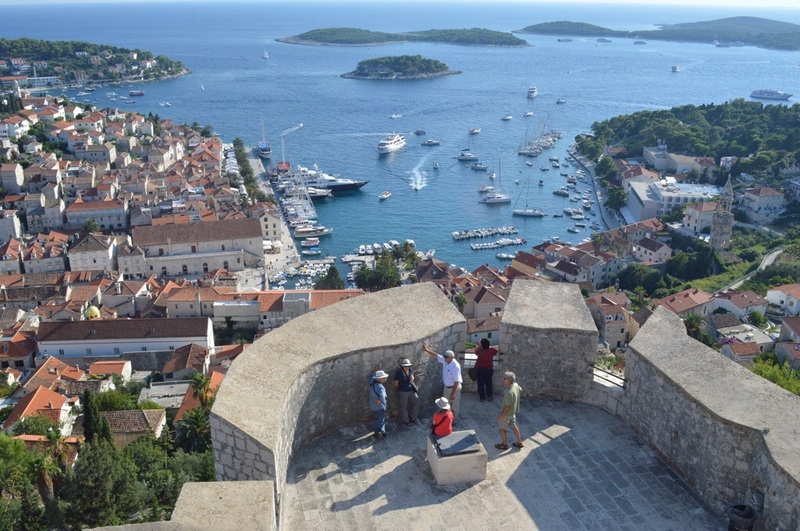 It’s a glorious view of the town and the Pakleni islands floating just off the coast. Much debate as to how to attack such a fortress with cannon from the sea! And since I didn’t actually paint today, I’ll need to work from my photographs back in the studio. No sketches to show today!